Purchasing a propane smoker is an excellent decision for individuals and restaurants alike. Only with a smoker, can you get that mouth-watering smoked taste that people love. A smoker cooks meats so they stay juicy, which will not only make your meals at home a delight, but it will boost your restaurant’s food profits. If you are looking for a smoker, check out these five best propane smokers under $200. 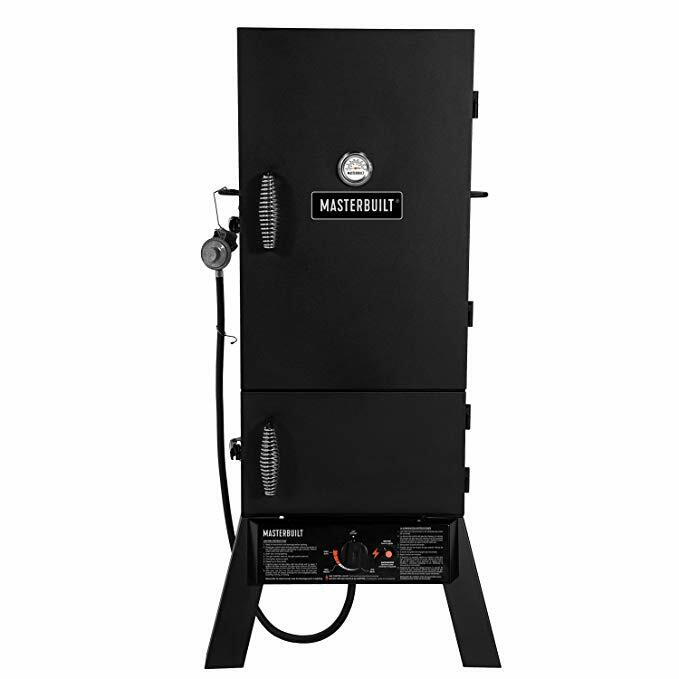 Affordable propane smokers that are enjoyable and reliable to use. This Masterbuilt propane smoker is one of the best on the market, and buyers agree as it is one of the top-selling propane smokers. It has four chrome smoking racks with a total of 717 square inches of cooking space. The burner is crafted from stainless steel, and the wood chip tray and water pan are coated in porcelain and removable for easy cleaning. The cool touch wire handles mean you can open the door without burning your hand even when the smoker is on. To start the smoker, simply push the button and start cooking. Another one of the best propane smokers to consider is the Char-Broil vertical gas smoker. 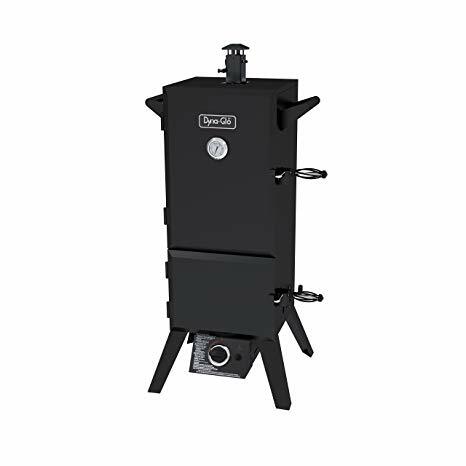 With 595 square inches of cooking surface and 3 chrome-plated cooking grates, this smoker is a little smaller than others, but the price makes it worth it. There is also a warming rack on top of the smoker chamber, which allows you to warm sauces and marinades. The gas heating offers consistent, even heat, so your food turns out amazing. This smoker also features a double drawer, which allows you to manage wood and water without causing the cooking chamber to lose heat. 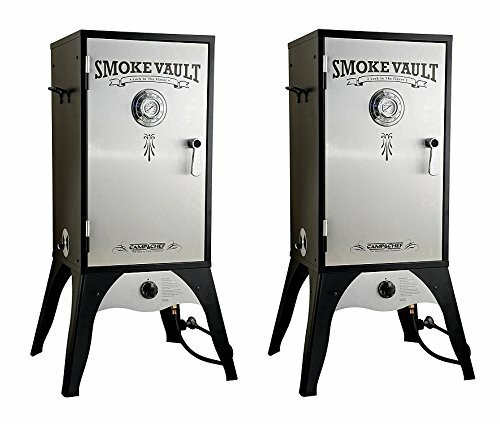 Let the Smoke Hollow 2-door smoker help you prepare delicious, tender meats for your patrons or family members. The cabinet capacity of this welded steel smoker totals 3.4 cubic feet. The two-door feature allows you to open the bottom chamber to handle the wood and water without opening the entire door and affecting the heat inside the cooking chamber. The cast brass gas control system also improves your controlling powers so you can cook the best meals with ease. The Dyna-Glo vertical LP gas smoker has a whopping 784-square inch of cooking space. There are four steel wire racks, which are adjustable. This means you can cook many different types of foods at once. 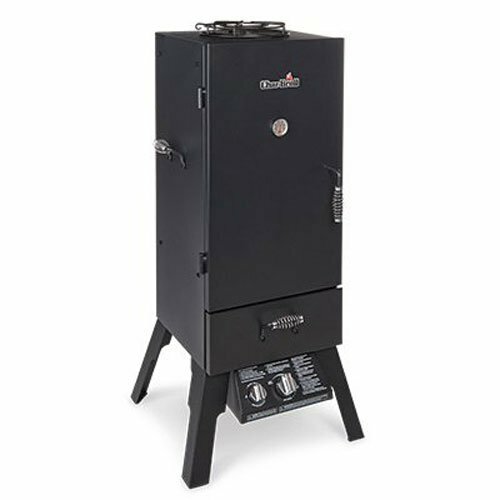 This smoker also features a double-door design, which allows you to access the water pan and wood chip box without losing heat or smoke. Like many of the other smokers mentioned here, it has an easy push-button start. The porcelain-coated water bowl can hold a lot of water, reducing water loss from evaporation. 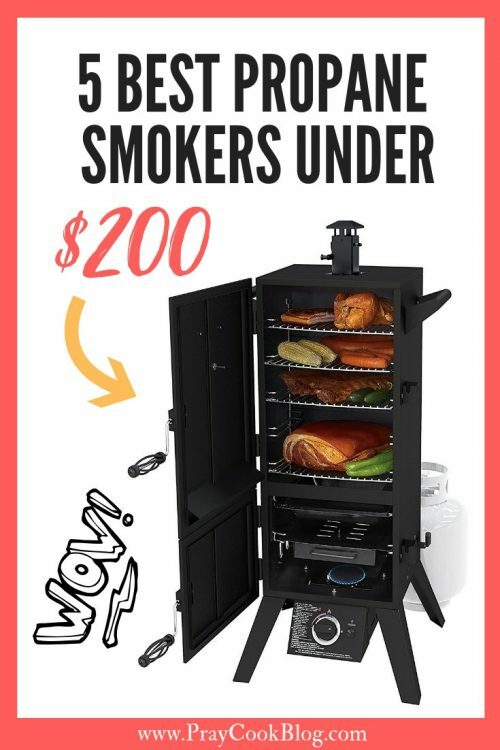 This affordable Camp Chef smoke vault features two adjustable smoking racks and a jerky smoking rack so you can cook many items at once. One adjustable damper valve on the top and two on the side allow you to precisely control the temperature. Internal temperatures reach from 160 to 400 degrees Fahrenheit, which you can control with the easy-to-use door thermometer. With the heavy-duty steel wood chip tray and water pan, you can make moist, smoked meats whenever you want. With the easy-to-use matchless snap-ignition, it’s perfect for professionals and armatures alike. 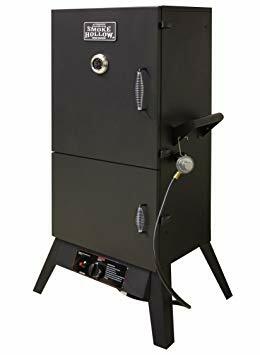 Whether you want one for your restaurant or you’d like one in your home, a smoker is an affordable and excellent option that can allow you to cook tasty dishes. These five smokers are some of the best propane smokers you’ll find under $200.